As a new semester begins at the University of Michigan, take a look and explore some student maps from our collection to celebrate the academic year. The educational benefit of studying geography and copying maps has made them classroom staples, and the pride students feel upon successfully completing a map spans the centuries, too. Native American visual culture includes the oftentimes tense relationship between indigenous Americans and the camera. By the 20th century, that relationship had changed as Native Americans assimilated into mainstream Anglo-European-American society and posed for casual photographs. This small collection of photos and postcards comes from a Native American woman named Sophie who was living with Mescalero Apaches in New Mexico circa 1910-1913. It includes both casual snapshots and carefully posted studio portraits. Q: What do you hope to contribute to the Clements? A: "I hope to consolidate descriptive archival material on indigenous languages in Latin America." Fun Fact: Angelica enjoys walking in the mountains. A: "I hope to not only make the Great Britain Indian Department Collection safely available for the future use of researchers within the Clements Library but to also make this unique collection more accessible digitally through the creation of a concise finding aid. It makes me happy to know that due to conservation and processing, this collection will continue to act as a valuable source of history." Fun Fact: Ellen has been to Disney World 28 times. The Clements Library is the recipient of two recent awards for excellence for its renovation and expansion project: The "American Institute of Architects, Michigan - 2017 Building Design Honor Award" and the "Engineering Society of Detroit - 2017 Construction & Design Award Honorable Mention. 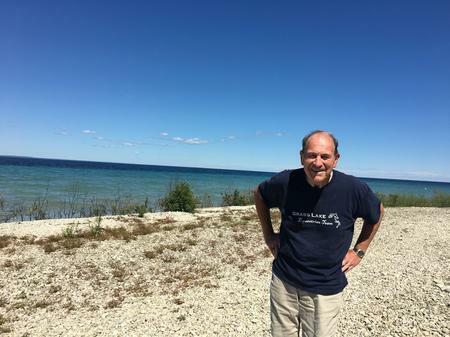 Brian Dunnigan - Is Waterway of Detroit a River or Strait? Our very own Curator of Maps, Brian Dunnigan, was quoted in a recent article discussing the long debated question, That Waterway in Detroit, Is it a Strait or a River? Join Mary Pedley, Clements Adjunct Map Curator, as she discusses the current exhibit, Mapping in the Enlightenment. After the lecture there will be time to view the exhibit at the Clements. Guests will have an opportunity to see one of only seven known copies of Cassini's Planisphere Terrestre (circular world map) . This exhibit aims to show the connections between the Enlightenment's search for answers to scientific questions, innovative mapping practices, and the interest and participation of the general public in the discussion and debate that these topics and maps elicited. Alan Taylor: "Transforming the Continent: Natives, Settlers, Empires, and States." 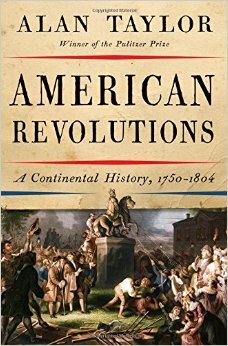 Join Alan Taylor as he discusses his book, American Revolutions: A Continental History, 1750-1804. Taylor's research and lecture examines the way we think about the American Revolution and our nation's history. Taylor, the Thomas Jefferson Memorial Foundation Professor of History at the University of Virginia, is the author of many acclaimed books in early American history and has twice been awarded the Pulitzer Prize in History; in 1996 for William Cooper's Town: Power and Persuasion on the Frontier of the Early American Republic and in 2014 for The Internal Enemy: Slavery and War in Virginia, 1772-1832. Join us for a behind-the-scenes tour of our award winning library. Please register by selecting a link below.